News in 5: Shock claims of killer dad's parents; Xmas terror plot foiled; Brexit deal backed. 1. Parents of Chris Watts claim son was in ‘abusive’ relationship with wife he confessed to murdering. The parents of Chris Watts have spoken out to claim their son was in an abusive relationship with wife Shan’ann Watts, who he pleaded guilty to murdering just a week ago. 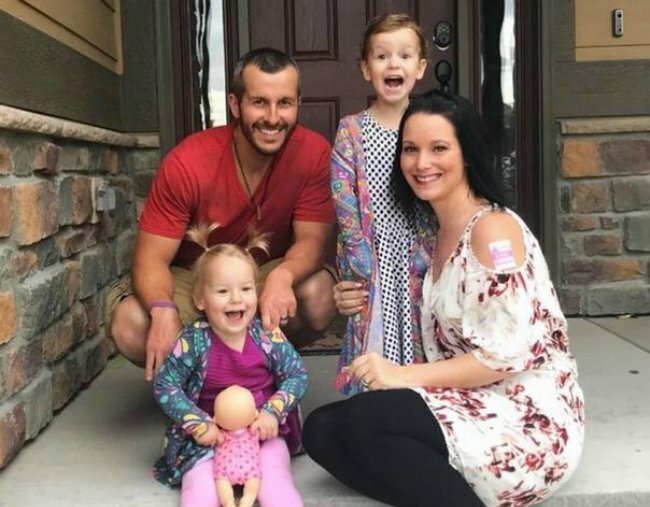 Chris Watts, 33, confessed to murdering Shan’ann, who was about 15 weeks pregnant, and their two daughters, Celeste, 3, and Bella, 4, at their family home in August. In an interview with Colorado TV station KMGH, Ronnie and Cindy Watts said their son was once easygoing and “normal”. “He was normal, he didn’t have a temper, he was just easygoing like his dad. He’s not a monster,” Cindy said. The couple claimed their son changed when he married Shan’ann, alleging they had an abusive relationship and Shan’ann had isolated Chris from his family. The Denver Post reported Cindy as saying her son was “railroaded” into his guilty plea. Cindy believed the story Chris told his father, that he killed his wife after discovering that she had strangled their two daughters to death. She said she believed Chris’ attorney’s were not acting in his best interests, and were only focused on saving him from a possible death penalty. Shan’ann’s family released a statement to Denver7 calling Chris’ parents’ claims “hurtful and inaccurate”. Chris was arrested on August 15 and charged with murdering Shan’ann, Bella and Celeste. Watts was arrested on August 15, just hours before police announced they’d discovered the bodies of Shan’ann, Bella and Celeste on the grounds of the oil field where Chris worked. The girls had been submerged in crude oil vats, while their mother had been buried in a shallow grave nearby. After speaking with his dad, Watts told authorities he flew into a rage after he saw that Shan’ann was “actively strangling” their youngest daughter. Their eldest was already “sprawled” and “blue”, he alleged. But earlier this month Watts plead guilty to three counts of first-degree murder, two counts of first-degree murder where the victim was under 12 and the killer was in a position of trust, one count of unlawful termination of pregnancy and three counts of tampering with a dead body. He is able to withdraw his guilty plea before sentencing on Monday, but only if he could show a fair and just reason. 2. Three Melbourne men found guilty of plotting a Christmas Day terror attack. Hamza Abbas wasn’t just the “idiot brother” of a confessed terrorist, he was also in on a conspiracy to “wage violent jihad” in Melbourne on Christmas Day, a jury has decided. The 23-year-old, his cousin Abdullah Chaarani, 27, and friend Ahmed Mohamed, 25, were found guilty in the Supreme Court on November 2 of acts in preparation for an attack targeting Federation Square, St Paul’s Cathedral and Flinders Street station in December 2016. The verdict, made public on Wednesday after legal delays, followed seven days of deliberations in the jury room and eight weeks of evidence including from Hamza’s older brother Ibrahim Abbas, 24, who confessed his involvement to police and pleaded guilty earlier this year. The group also had the makings for pipe bombs – sparkler dust, hundreds of match heads and chemicals including hydrogen peroxide – that were intended, as Ibrahim put it, to “wage violent jihad”. They got the recipe from the infamous al-Qaeda magazine article “How to make a bomb in the kitchen of your mom”. In Hamza’s defence, lawyer Felicity Gerry QC argued he was a “fishbrain” and the “idiot brother” who could not be trusted to know details of the plot. 3. Six-week-old foal stolen from an outer Melbourne stable found dead. The six-week old foal called Holly was discovered missing from the stable in Carrum Downs on Monday. But on Wednesday the owners found the foal dead on their property. Police say investigations are ongoing. 4. Bali Nine’s Renae Lawrence faces being arrested when she lands back in Australia. She’s set to finally face court over the car chase when she flies back to Sydney after she is released from an Indonesian prison on Wednesday, having served 12 years of a 20-year sentence. “A 41-year-old woman has two outstanding warrants for offences including steal motor vehicle, drive unlicensed, speeding and fail to comply with police directions,” a police spokesman told the newspaper. 5. Senior ministers have backed British PM Theresa May on her Brexit deal. British Prime Minister Theresa May has won the backing of her senior ministers for a draft European Union divorce deal, freeing her to tackle the much more perilous struggle of getting parliament to approve the agreement. But May now faces the ordeal of trying to push her deal through a vote in the British parliament, where opponents lined up to castigate the agreement, even before reading it. 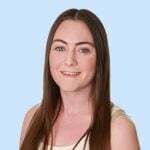 The Northern Irish Democratic Unionist Party which props up May’s government, said it would not back any deal that treated the British province differently from the rest of the United Kingdom. Before May’s statement, the BBC’s political editor said anger among Brexit-supporting Conservative lawmakers in her party was so high that it was likely they would call on Thursday for a vote of no confidence in her leadership of the party.